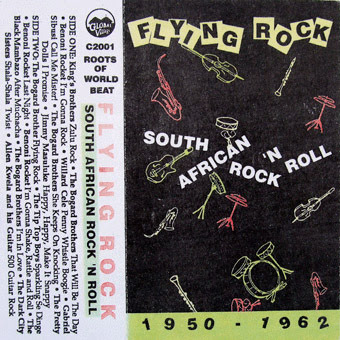 Some time back I used this cassette-only compilation as the basis for an African Serenades volume, adding in a few extra tracks. Someone really should put together a decent compilation of these early rock and roll and marabi jive 78s to CD for official release. (Jon Ward are you listening?). Love this album.. beautiful upload as usual. Thanks. Perhaps someday...it's killer music as you have clearly presented! I haven't even delved into the 45s - all my stuff is on 78.